Which social network is suitable for advertising your business? | AdsWiki - Ad Network Listing, Reviews, Payment Proof & Advertising News. Home Articles Which social network is suitable for advertising your business? Social networks are here to stay, but now more than ever they are intimidating businesses of all sorts because of how “difficult” they seem to be. But in reality these networks aren’t difficult, they’re just different and trust us, different is good! 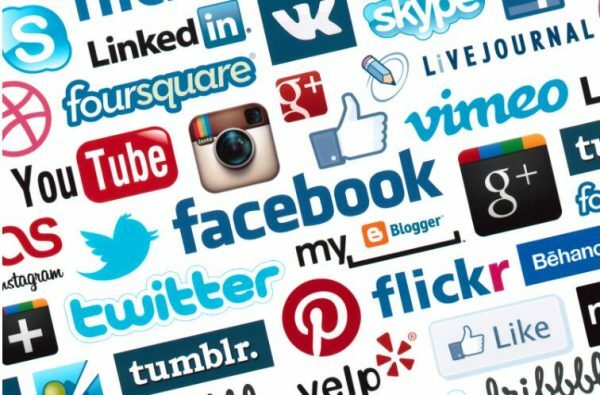 In this article we’ll be covering why each social network is unique and how each of them can benefit your brand in many different ways, it will be up to you to choose what network you would want to go with based on your business and your brand’s needs. The main platforms we’ll be focusing on today will be Twitter, Facebook, Instagram, and of course Linkedin. Social media has changed everything we know in recent years, it’s no wonder that many brands haven’t jumped on top of the trend yet, because it can be scary uncharted waters. But social media isn’t just used to communicate, it’s used to grow businesses and connect with a following that actually wants to learn more about you and your brand. When you take advantage of what social media platforms have to offer, you’ll be doing everything you can to reach out to the community that will be your support, customers, and free advertisement as well! Before we jump into what social media platforms are ideal, you should work towards figuring out your social media strategy. Plan out your demographic, identify what you want to accomplish by growing your business, and figure out what kind of original content you want to create to encompass what your brand is about. We’ll be showcasing everything you need to know about these social media networks and by the end of this article you’ll be able to figure out what platform will suit your goals the most. We’ve also included an infographic as well for you too look over to get a good visual feeling of the platforms as a whole. Twitter’s main focus is on creating easy to read statuses that are usually humorous and to the point. Twitter is known for it’s easy to use system and how easy it is to go viral on the website, which is great for advertisers. Twitter created the most powerful element in social media sharing, the hashtag. All you have to do is type something up, keep it witty and easy to read and add a few hashtags that make sense, the more people to retweet your content, the more people will follow you and find out about your brand. This is a great place to start if you always deal with trending topics, since Twitter is a great source for trending material! Keep it fresh, unique, and new! Did you know that Facebook actually has over a billion users on the platform? It also has the biggest range of demographics as well, everyone of all ages, race, or location, everyone is on Facebook, which makes it one of the best general platforms to advertise your business. This is one of the best platforms you can grow to connect with customers all over the world. Facebook also offers a built in ad platform as well! So it’s easy to set up and use, and you’ll almost instantly see amazing engagement if you really focus on building your brand on this platform. This is ideal if you have a brand that has a wide range of demographics as well! Instagram is fantastic if you have amazing images that relate to your brand. If you’re constantly taking amazing images or creating great graphics, this is the platform you’ll want to focus on. Instagram focuses on images more than anything and if you add a few hashtags as well, you’ll be able to even create your own hashtag for your brand so customers can tag you in their posts! If you want to stick to networking, especially if you work in the B2B industry, Linkedin is the platform for you above all else. This is a great place to build new friendships in the branded world while being professional. It’s one of the biggest networking social media platforms in the world. Just remember be honest and don’t introduce yourself with a pitch for your brand! Now you’ll have to make the choice, you have to choose what platform will work the best for you. They all have their pros and cons and it will greatly depend on your brand itself. What do you want to bring to your community and how do you want to grow your platform first. Of course you can pick and choose what platforms you’d like to use, but it helps to be a bit selective, especially when you’re just starting out so you can take it slow and learn the ropes. Timothy Sykes from Entrepreneur said it best: From my Instagram posts to my Twitter announcements, I have found that there is no end to the new opportunities that a carefully managed social media campaign can bring. With this in mind, any entrepreneur or aspiring entrepreneur who has yet to try out the power of social media needs to start working on creating a stronger online presence. What will you choose? Let us know in the comments and by sharing this article with other brands in your industry!